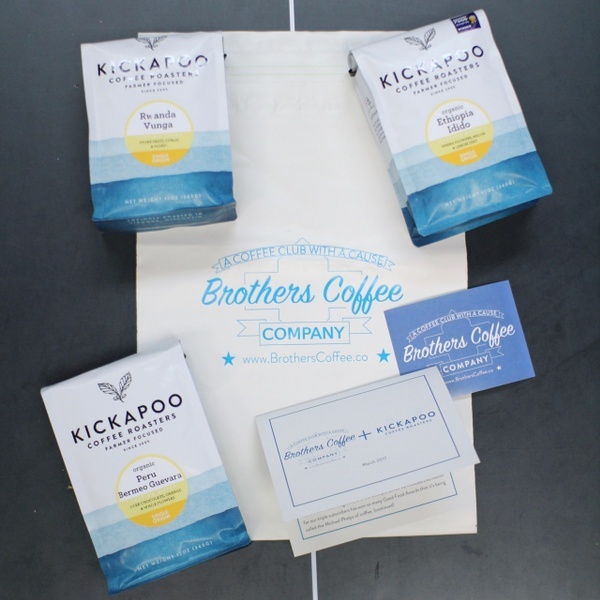 Enter your email address below to receive a notification when Brothers Coffee Company starts accepting new sign-ups! Enter your email address below to receive a notification when Brothers Coffee Company is accepting new sign-ups again. Use code MOMSDAY for $4 off! Brothers Coffee ships in the first week of each month, to help you start your month out great! We believe a cup of coffee can change the world. 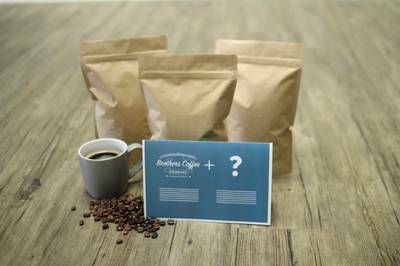 When you sign up for Brothers Coffee, every month you will receive freshly roasted coffee from a new roaster. Fresh coffee guaranteed, no sitting in warehouses or on shelves! 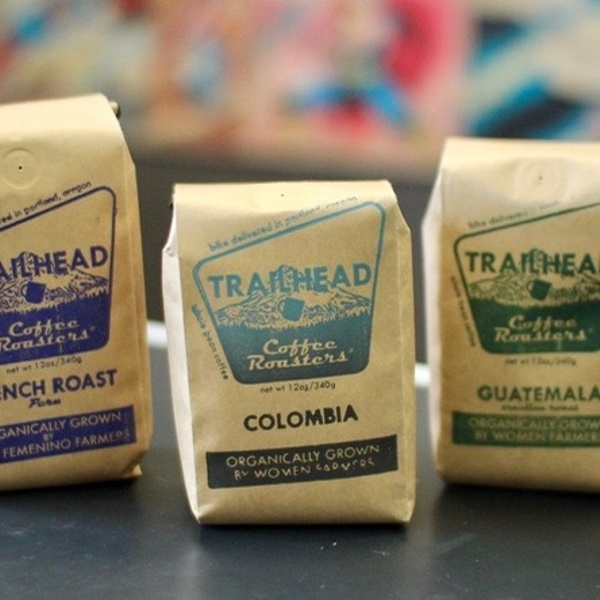 We carefully select each roaster and coffee to ensure that it is delicious, ethically sourced, and does something new and exciting to make the world a better place! 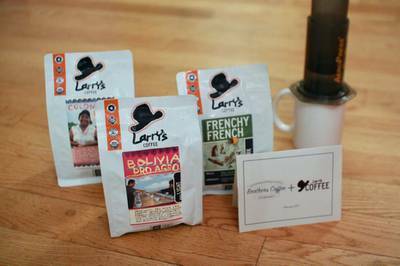 Includes: new roaster each month along with an info sheet to tell you more about them and their coffee! I really enjoyed the concept and it was fun to get something new to try each month... but overall I wouldn’t say that I received a coffee that I would want to buy more of. Brothers coffee company is great.Coffee is very taste and colorful. It is great coffee. I hope that customer satisfaction is their main goal. Exceptional Service and Excellent Brews! I gave a short subscription to my java-loving husband and we both loved it so much that we've extended it indefinitely! We both love experimenting with new beans and my husband really enjoys reading their "pedigrees" that are included. I accidentally threw away the descriptions and my husband was quite put out.... but I emailed Brothers was pleasantly surprised when they were able to email me the information the next day. Wonderful customer service. Highly recommend! 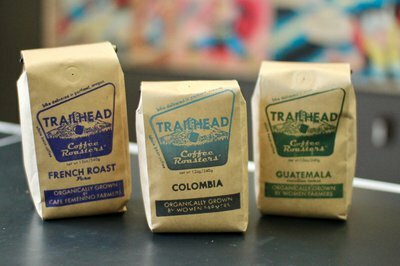 We sent out coffee from Portland, OR based Trailhead Coffee. They deliver coffee on a bike–they didn't deliver this box on a bike, however. 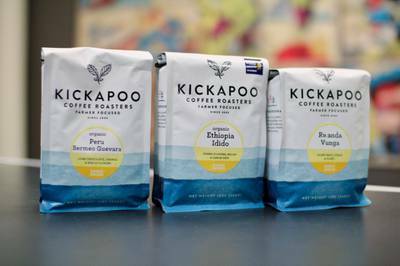 Kickapoo's Ethiopia Idido has won so many awards, we like to call it the Michael Phelps of coffee. 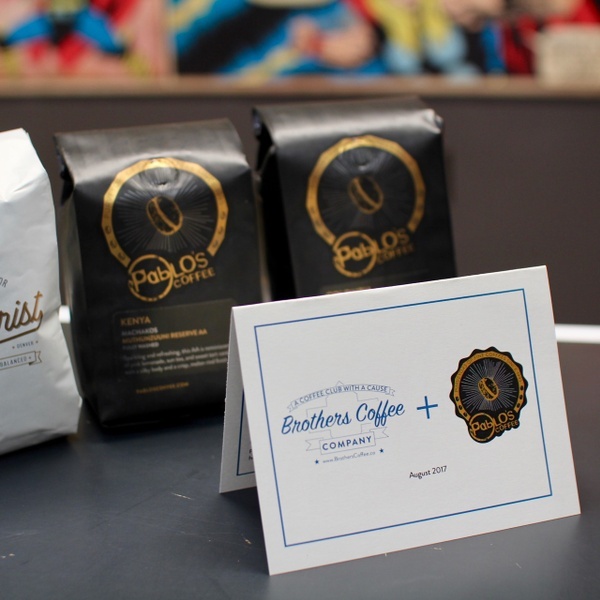 Pablo's Coffee was voted Brothers Coffee's fan favorite in 2017; one of our favorite roasters!